"Briefly, we are aware of about eight other Liberty presses, half of which are in Europe. The only two we know of in the western U.S. are one in Montana and ours in San Jose, California. I don't believe the one in Montana is viewable/operable at the moment (in fact it may actually be in Idaho to be restored). "The Liberty in our shop in History Park seems to be the oldest of the ones where serial numbers are known. 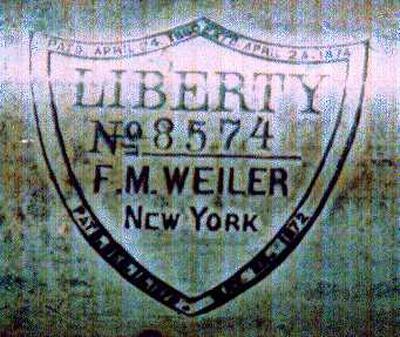 Although it carries an 1874 patent date, it was probably built after 1877 when F. M. Weiler bought out his partner, Frederick Degner, the inventor of the press. It also probably was built before 1881 or so when a factory was added in Berlin. "The press is a 10 x 15" press like your C&Ps, but mechanically rather different! As you may know, the ink rollers are basically stationary, while the ink disk, bed & form travel back and forth underneath them. 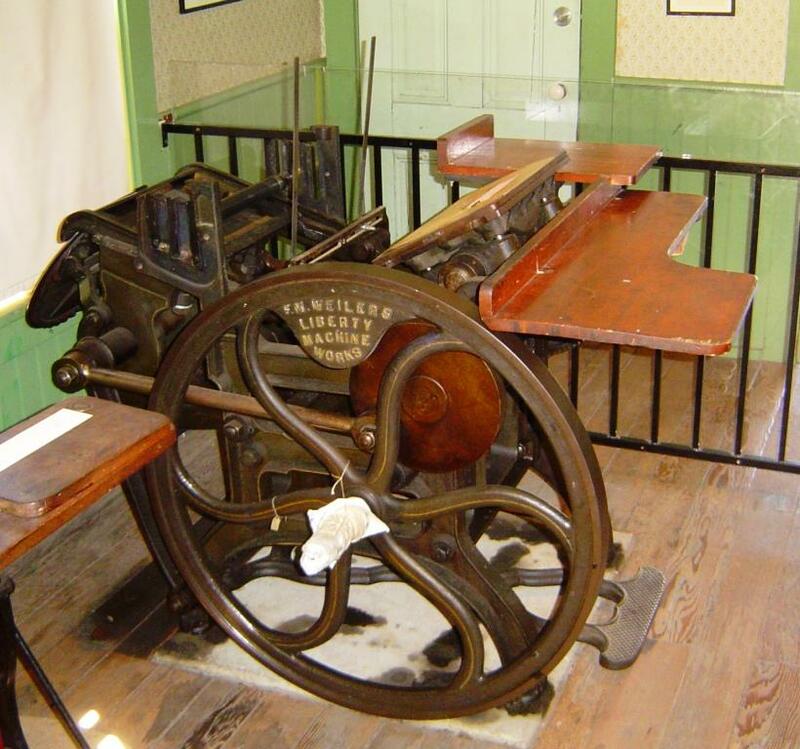 "After its first half century or so, this particular press was sold to a religious order here in the San Jose area, who did not need the speed a commercial shop would have. This probably saved it from the WWII scrap drives. 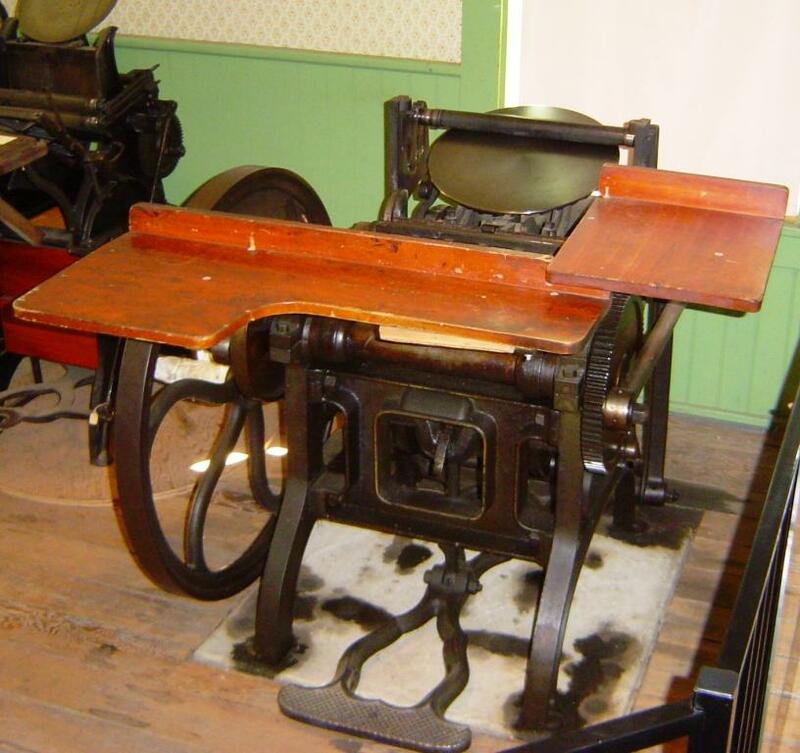 The nuns evidently were content hand setting type and operating the press with its original foot treadle. Around thirty years ago it came from them to the printshop at the then San Jose Historical Museum, and it's still happily printing in the same spot at History Park. 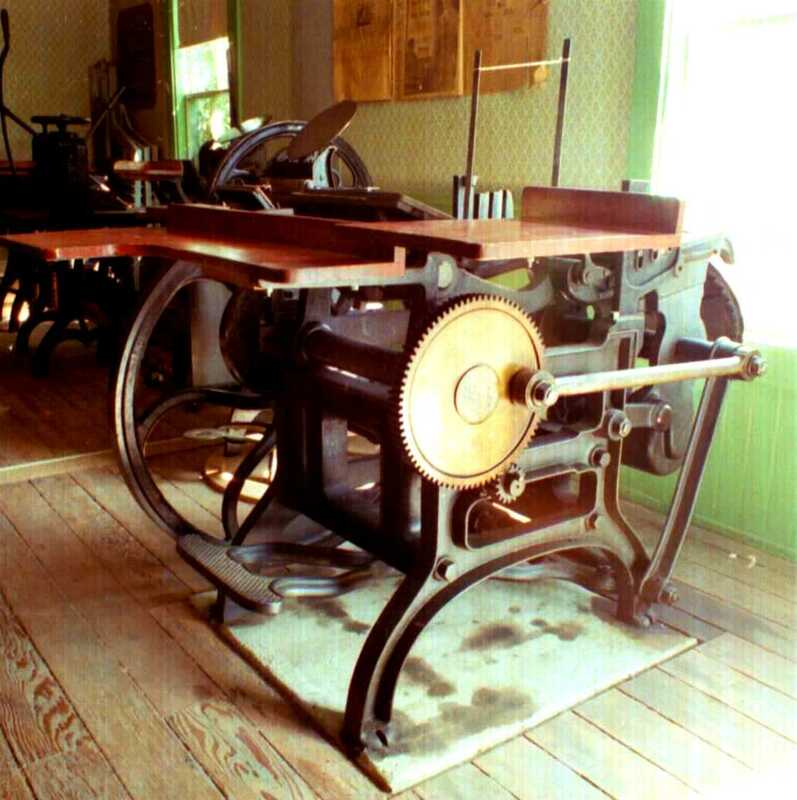 It may have been painted black at some time (Libertys seem to normally be blue) and has had a few minor repairs, but is basically just an unrestored 125± year old press still doing what it was built to do. We tend to use it a few times a month, mostly for demos for visitors and History Park keepsake jobs." 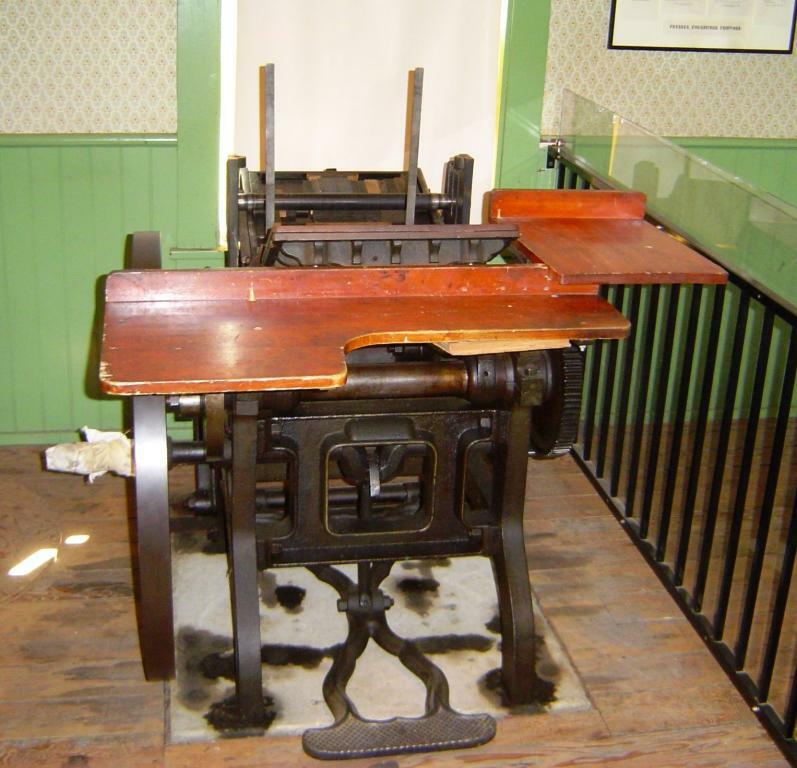 Other Guild members have written about the press for the letterpress e-mail discussion list. You can read messages from Jim Gard (May 1, 1999) and Marjorie Wilser (Nov 17, 2001) if you have access to the archives. Thanks to Jim Gard for several pictures used on this page.